Photo Credit: ACT Rescue and Foster. The day everyone is waiting for is almost here! Only a few more sleeps and next Sunday 30th July from 10.00 am, the Queanbeyan Christmas in July Market will be open for business and buzzing at the Queanbeyan Showground. I hope you are all starting to feel a bit hungry? Recently I wrote about the line up of entertainment, but now it is time to tempt your taste buds! Yummy BBQ rolls. Photo credit: Nomad Kitchen & BBQ. If this yummy list doesn’t make you hungry, I can’t imagine what will: Berlin Bangers foot long German sausage; Greek dishes from Yiayia’s Kitchen; traditional New Zealand food from Kiwi Licious Katering; Nomad Kitchen and BBQ serving great food, meaty and hot; What the Pho will be crossing the border to serve up hot pho; pancakes and jam from Yerriebah Berry Farm at Braidwood; and Eddie’s tacos, including a delicious vegan taco. Delicious Laksa Photo credit: Tiandi Farm Kitchen & Food Van. But wait, there is more! 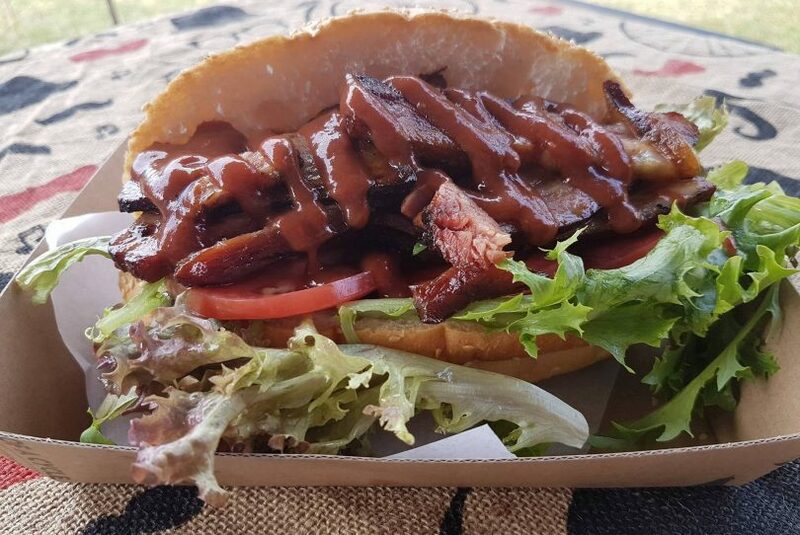 Tiandi Farm Kitchen will be showcasing “All Things Food” with their authentic organically grown food. 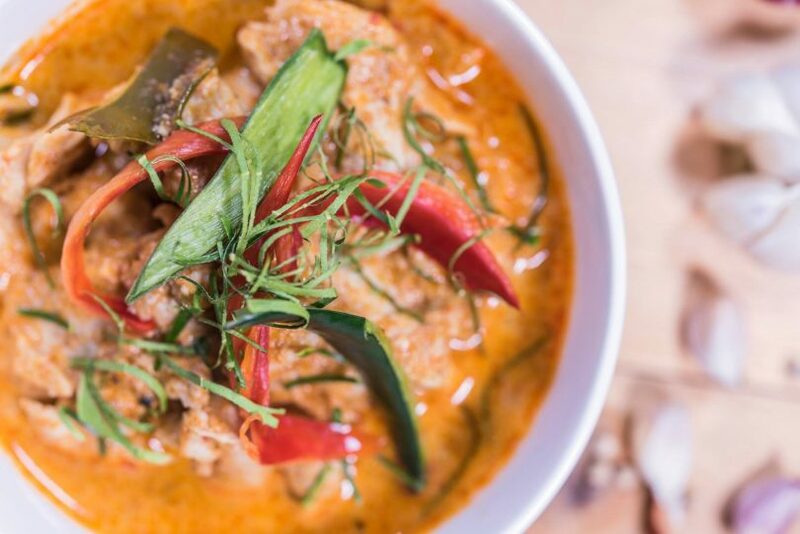 They will be serving an all day breakfast with their pasture raised eggs, Creamy Vegetable Indian Korma, Beef and Peanut Massaman Curry, Pumpkin and Coconut Soup and Sim Sims with Asian Salad to warm our winter tummies. They will also feature presents with a difference including Honey Gift Packs, Kitchen Preserves and of course, their Ailuj Beeswax Organic Skin Products Gift Packs. Those wonderful farmers and cooks from Canberra City Farms will have available their preserves such as ruby grapefruit marmalade, Asian style plum sauce and apple rhubarb and ginger jam. Everything is made from their excess seasonal produce, and I guarantee these will not last long! Eden Valley Dance Academy will be fundraising and selling cakes and slices, and that perennial favourite, Rotary, will be sizzling up sausage sandwiches. 5 Beans Coffee, a popular local coffee provider will be giving a discount to all those who bring their own cup and Kombean Coffee will be serving up retro-style coffee as well as making a special Eggnog coffee. 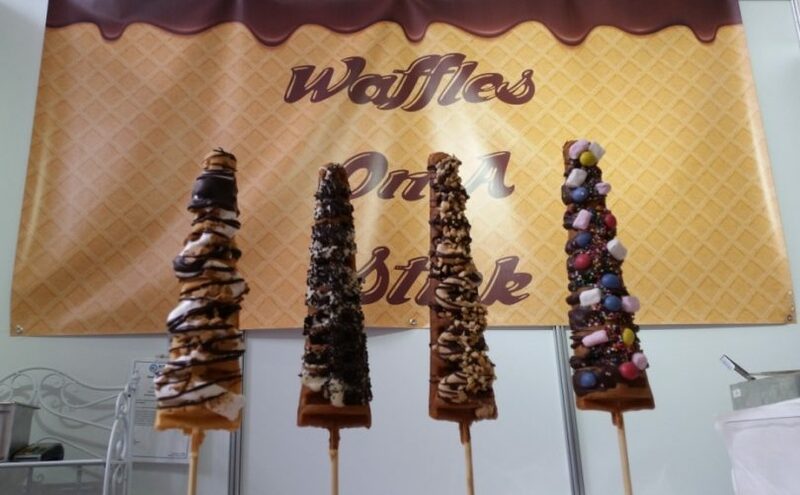 Waffle-lovers will not be disappointed; Waffles on a Stick will be there too. This is just some of the vendors who will be at the Market next Sunday. There will be something for everyone..and every budget. Photo credit: Waffles on a Stick. 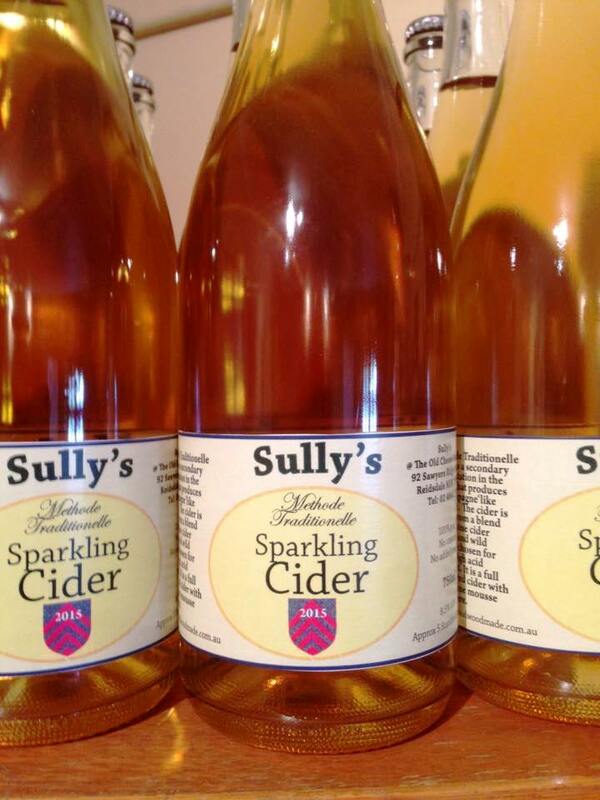 Another great treat will be the chance to taste locally made cider from Sullys from the Old Cheese factory at Braidwood. You will be able to learn about the region’s cider heritage and the significance that cider has played in Australia and in the Braidwood region in particular: sample cider made with English and French cider apple varieties and this means real cider made using similar techniques and apple varieties used in the region in the 1860s. As well as cider, I hear they will also have mulled wine and adult cordial on the menu. For those looking for something a little stronger, there will be a number of local wineries represented. These include Contentious Character, Wamboin (formerly Lamberts) who pride themselves on old style wines with a new twist and quality wines at an affordable price. They have just launched their first vintage. Also serving up wonderful local cold climate wines will be Idyllic Hills Wines from Murrumbateman; Summerhill Road Vineyard, a small but beautiful winery near Bywong; and Sapling Yard Wines, Murrumbateman, a winery who have a passion for small boutique ranges. After sampling local wines why not watch award-winning local French Restaurant chef, Christophe Gregoire, from Le Tres Bon of Bungendore, pay homage to the region’s black gold – truffles – with a cooking demonstration. 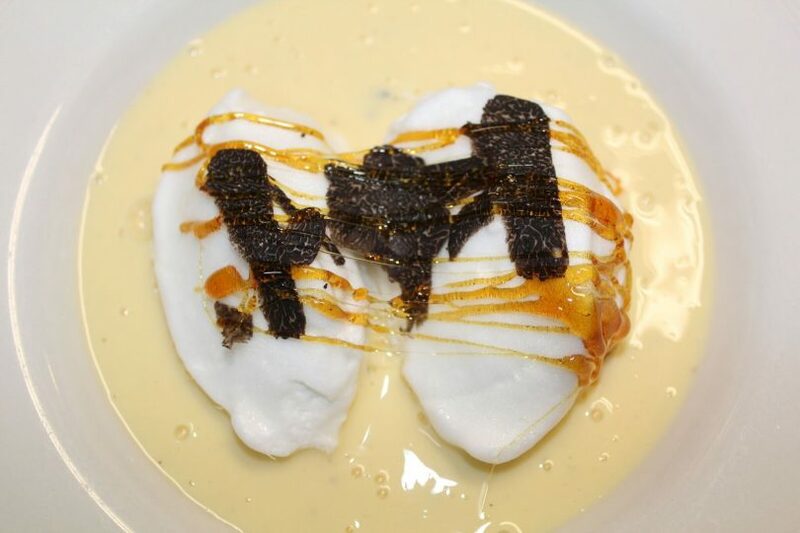 See the master in action as he demonstrates his culinary magic from 10.30 am making truffled Snow Eggs (Œufs a la neige). The best part of Christmas is giving. As part of the Queanbeyan Christmas in July Market, a real 10-metre Christmas Tree will be decorated as our community Giving Tree. Blankets and canned food are welcomed and will be donated to St Benedict’s Community Centre in Queanbeyan. Your donation of canned or dry dog and cat food is also requested, as many homeless people have companion animals who are also in need. Here is a big ‘thank you’ to Santa’s Shaped Christmas Tree Farm for donating a 10-metre live Christmas tree as the Giving Tree to give an authentic feel to the day. 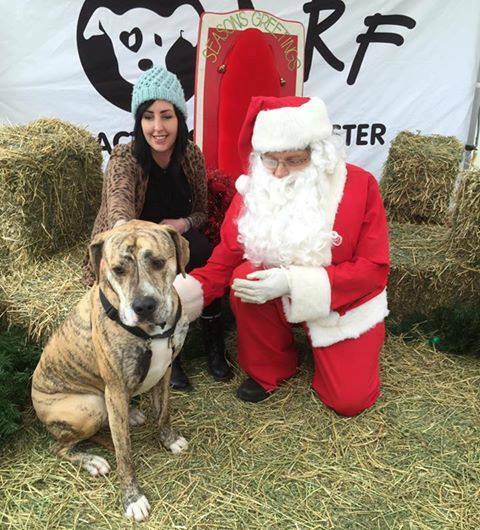 Our well-behaved fur, feathered and scaly pets haven’t been forgotten; they are all welcome to Christmas in July because Santa loves them too. Pose for a perfect photo and all money raised will go to the delightful people at ACT Rescue And Foster. And when you are planning your day, don’t forget there are lots of other special things. As well as free admission, free parking, and the event being a plastic-free day, there are heaps of things to keep both little and big kids entertained. See you next Sunday at the Queanbeyan Showground. 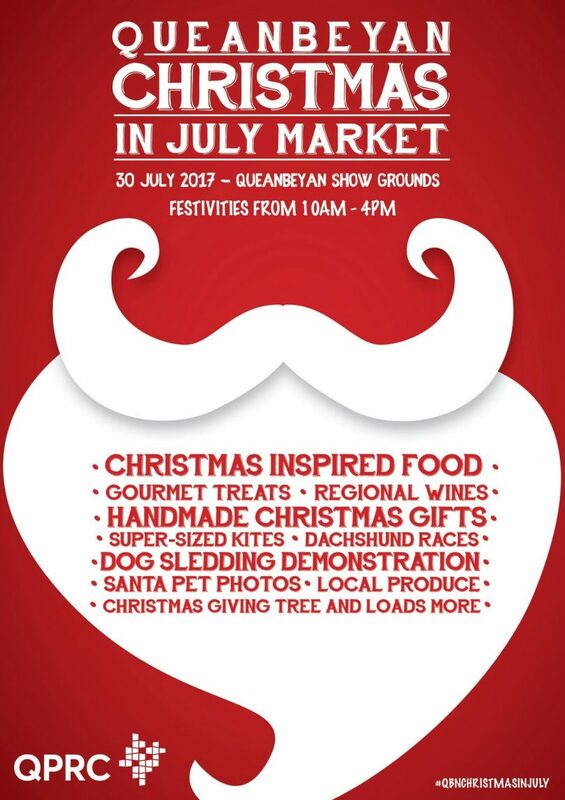 Don’t miss Christmas in July – Sunday 30 July @ Queanbeyan Showground.